Welcome, party people, to the biggest bash this side of the bayou! 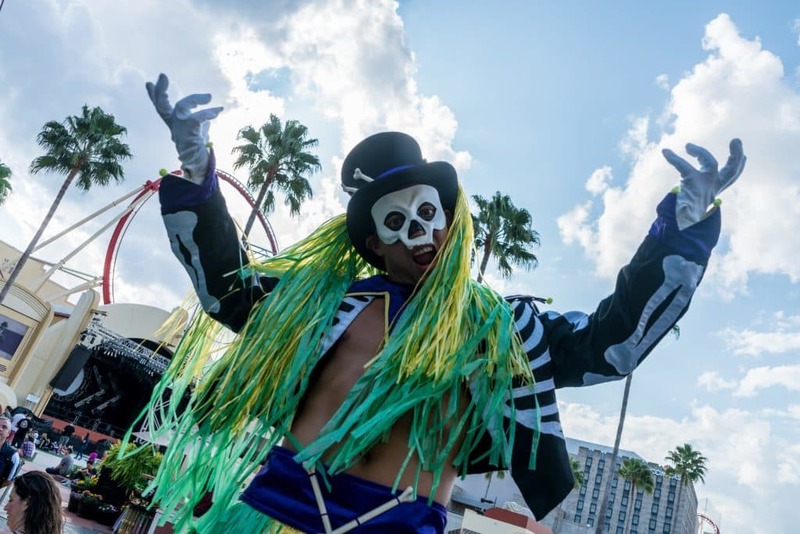 You’ve just found the world’s most popular insider’s guide to the biggest Mardi Gras celebration in Orlando. 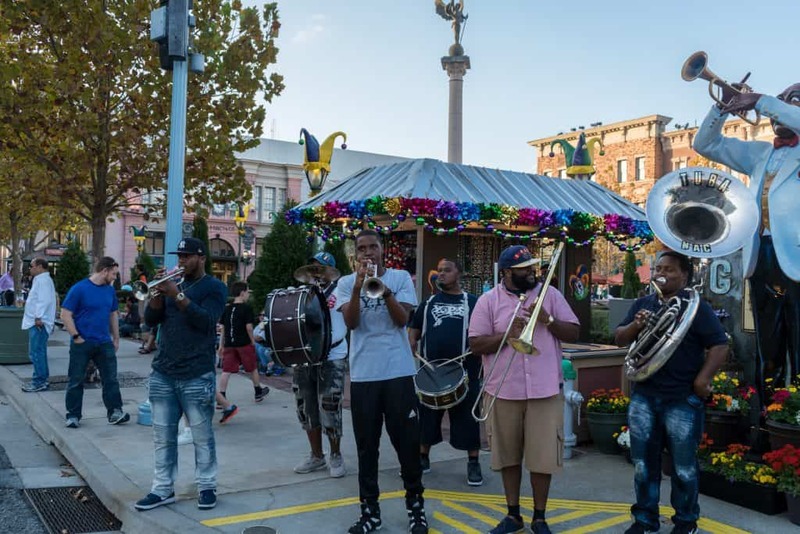 Every spring, the fun and excitement of the Big Easy makes its way to Universal Orlando Resort for an authentic celebration that completely transforms Universal Studios Florida into a family-friendly version of the famed New Orleans street party. To learn everything there is to know about Mardi Gras 2019 – from the food in the French Quarter Courtyard to how you can sign up to ride a float – we strongly recommend that you read this guide from top to bottom. From Saturday, February 9 to Thursday, April 4 (which is approximately nine days shorter than last year’s event), Universal Orlando’s Mardi Gras celebration combines unparalleled theme-park entertainment with an elaborate Mardi Gras parade, dozens of colorfully-costumed performers, authentic New Orleans bands, and delicious Cajun cuisine (the last two of which can be found in the French Quarter Courtyard). 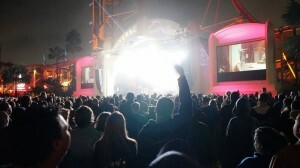 On select nights, there’s even live concerts by nationally- and internationally-recognized recording artists. It used to be that the parade and food vendors were relegated to specific nights only (typically on the weekends). 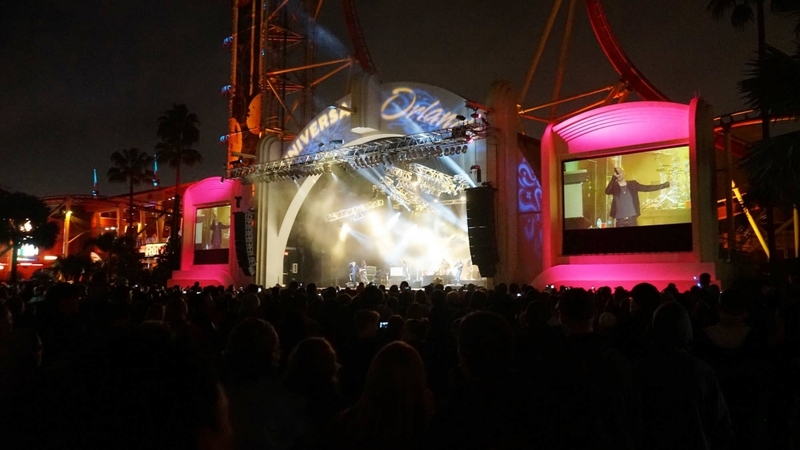 Fortunately, Universal changed that starting in 2017; now, guests can get fully into the Big Easy swing every single night of the event’s two-month-long run. Here’s the best part about the whole set of festivities — they’re completely free! 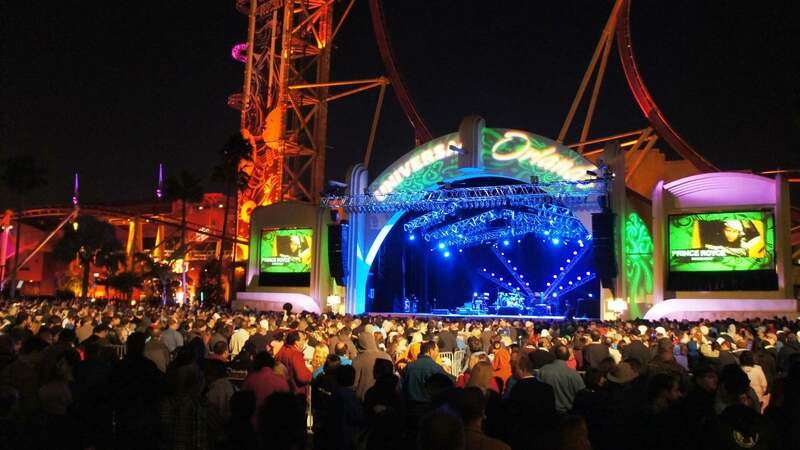 As long as you have a ticket to get through the Universal Studios Florida turnstiles on a Mardi Gras event date, you have access to everything, from the concerts to the parade to the French Quarter Courtyard. Concerned about the weather the night you plan on getting some beads? 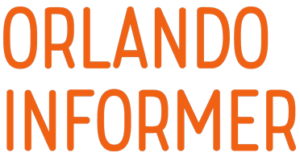 Check out our Orlando weather page to learn more and be fully prepared for your visit. 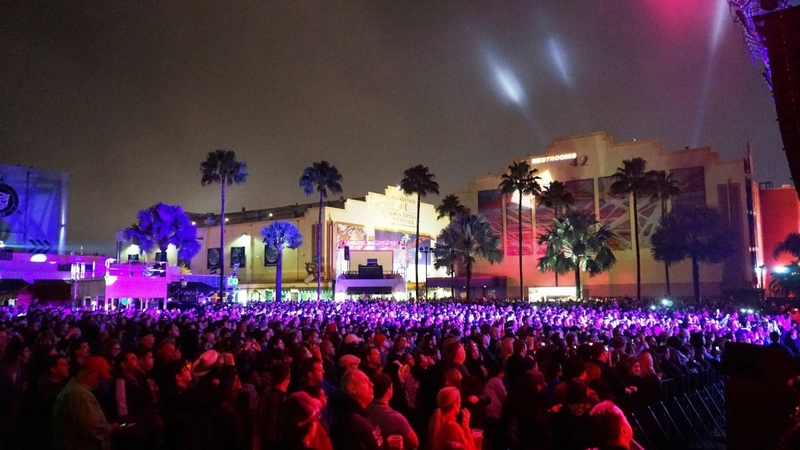 Music constitutes such a big part of New Orleans’s Mardi Gras traditions, and it’s no different at Universal Orlando – in fact, the concerts are easily the most popular part of the resort’s annual celebration. Typically, the concerts begin at 8:30 pm, not too long after that night’s parade wraps up (you can see below for a full list of the parade start times, but we can tell you right now that the parade starts at 7:45 on concert nights). You should double-check the park map for all times that evening, however, just to be safe. 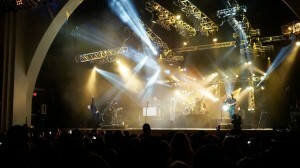 What is this year’s concert lineup? How does concert seating work? How far in advance should I get there? In order to talk about seating at the Mardi Gras concerts, we first have to say that there are actually no seats to be found; it’s all general standing. The Universal Music Plaza is an open field, so to speak, so you get to watch the performance from wherever it is that you’re standing when they start playing music. There is no VIP area to upgrade to, and there is no special viewing section to access, whether you have Express Passes or are staying on-site at one of Universal’s hotels (though we should probably note right here that there is, indeed, an ADA viewing area, which is located in the middle of the Music Plaza and which is accessible via the side facing Race through New York Starring Jimmy Fallon. See the team members that are working the concert for assistance). So, given all this, how early do you need to get there? If you want to be somewhat close to the stage, you need to get to the plaza at least two to six hours before the concert starts — the more popular the musical act, the earlier you need to get there. Saying that the area gets very crowded is a bit of an understatement — so if you just have to get good “seats” for a particular band, plan on skipping that night’s parade and waiting in line instead. 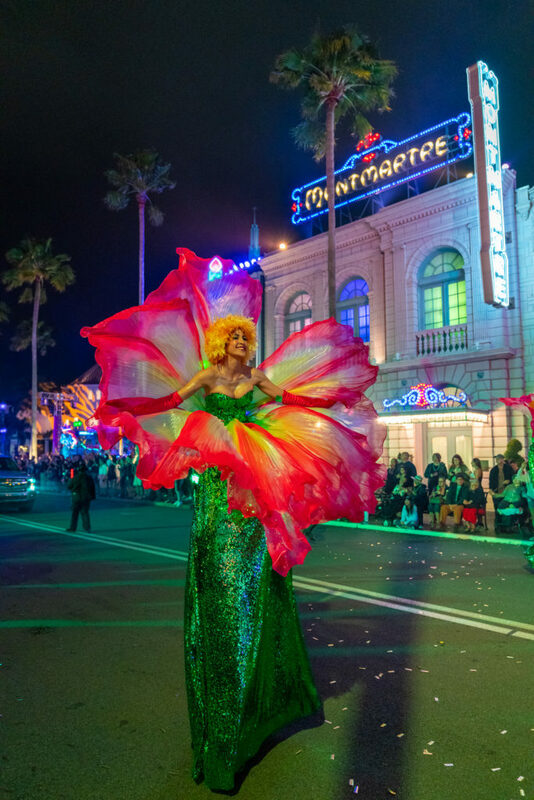 Universal’s Mardi Gras parade is an elaborate affair, providing guests with the chance to dance along with street performers and collect beads by the handful as the colorful floats wind down the streets of Universal Studios Florida. 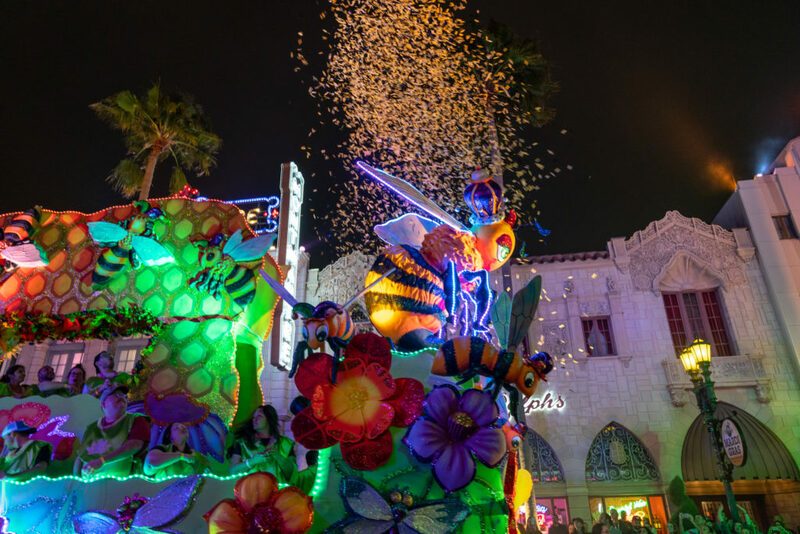 Each year, Universal adds a few new floats to its reportorie, replacing some of the older ones and thereby keeping the proceedings fresh and engaging. 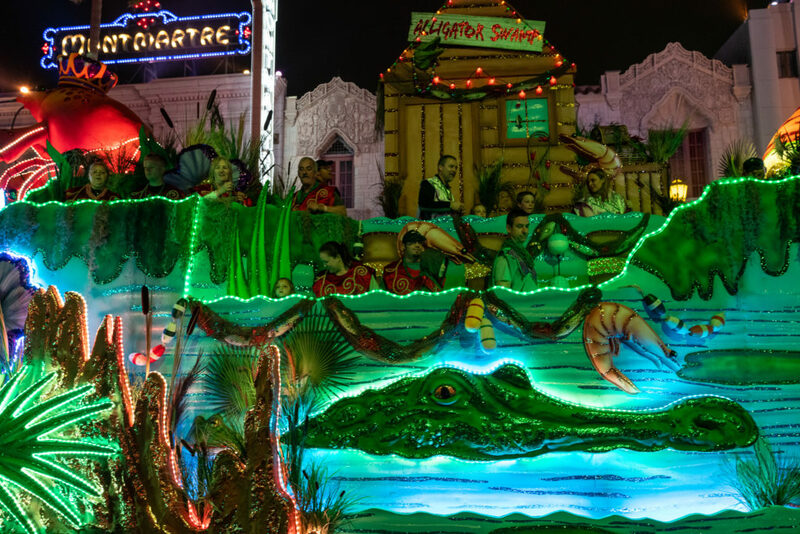 In 2015, for example, a “party” float was added to the lineup (and the crowd-favorite Gator and Riverboat floats were returned after a lengthy refurbishment period); 2016 saw four newcomers that celebrated different cultures and festivals from around the world (Venetian Carnival, Oktoberfest, Fourth of July, and Rio de Janeiro Carnival); in 2017, a massive six additions were trotted out, all based off of mythical creatures (Manticore’s Majesty, The Rise of the Garuda, The Dance of the Dragon, Phoenix from the Flames, Garden Sprites, and The Flight of the Pegasus); and, finally, six more brand-new floats were injected into the 2018 proceedings, with each being themed to the zodiac (Taurus, Virgo the Maiden, Scorpius, Andromeda, Orion the Hunter, and Orphiuchus). 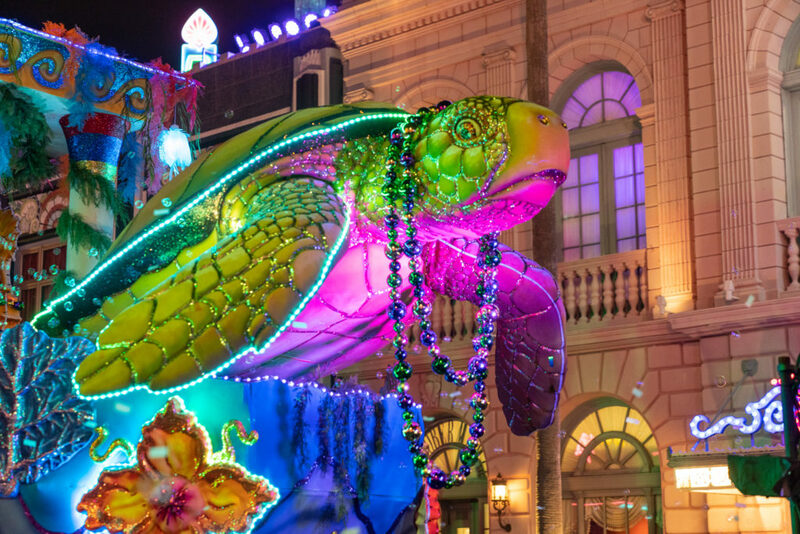 For this year, we’re getting the overarching theme of “party animals,” which will see the various “intricately detailed” floats and “vivacious” performers dressed up as their spirit animals from all over the world (expect the six new floats to feature arctic, jungle, ocean, and swamp environs). As a friendly reminder, the Mardi Gras parade is about 20 minutes in length, from beginning to end. 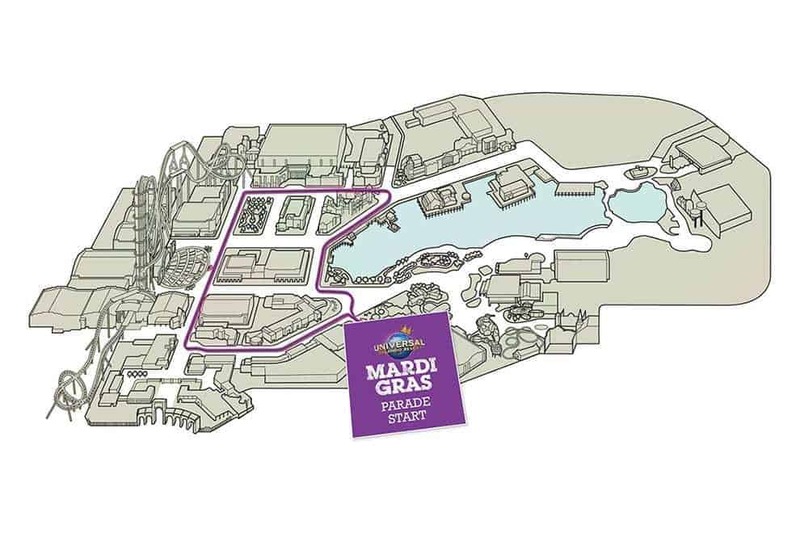 The Mardi Gras parade starts at the bottom of the map seen below, right next to the Horror Make-Up Show theater, and then it follows the purple line all the way around Universal Studios Florida, ending back where it began. I’d like to leave the park as quickly and as early as possible. 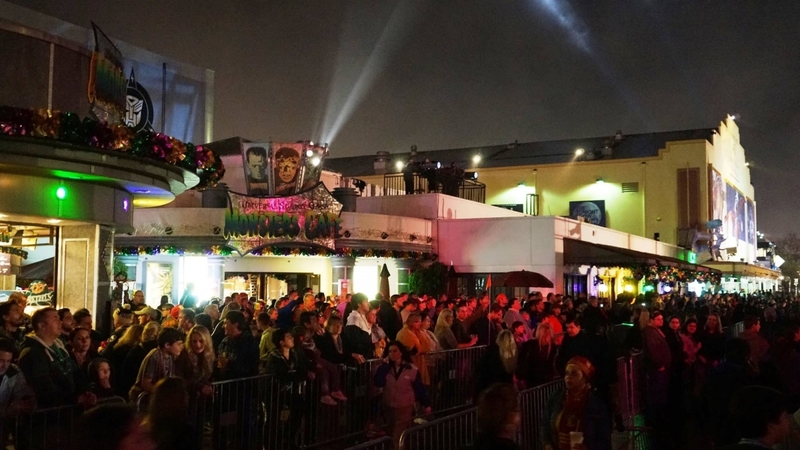 Then you will want to line up along Hollywood Blvd, near where Terminator 2 3D: Battle across Time used to be and where the Little Jester’s parade viewing area is located. 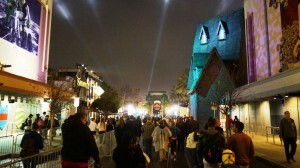 This will allow you to quickly exit Universal Studios after the parade has passed. I’d like to have an opportunity to see the parade twice. In this case, you will want to line up in front of Mel’s Drive-In, located on Hollywood Blvd. Because the parade’s route has it beginning and ending at the same spot, anyone near Mel’s will be able to see it twice. I’d like the best spot for taking pictures. This is somewhat a matter of opinion. Nevertheless, based on our experience, lining up in the New York backlot near Finnegan’s Bar & Grill or Louie’s Italian Restaurant will get you the best pictures. We believe this is because the building facades along Delancey Street really help the parade floats look like they’re traveling down a real city street, like you might actually see in New Orleans. I’m going to the concert afterwards. If you really want a good spot for the concert, you’ll need to skip the parade altogether (as we’ve already discussed). But if you really want to see both, then for the parade you will want to line up in Production Central, basically as close as you can get to Universal Music Plaza. Because the Mardi Gras floats are mostly two-story, and because virtually all the street performers are on stilts, you don’t lose much not being in the very front of the crowd. Of course, wherever you choose as your viewing area, being in the front of the crowd will give you the best shot at collecting beads and taking the least-obscured photos. To do this, choose your area based on the information above and get there 45 minutes to an hour before the parade start time. The Little Jester’s viewing area for kids is located next to where Terminator 2 3D used to be, near the very front of the park. 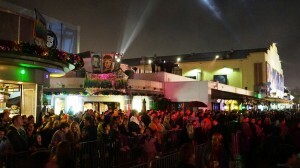 The ADA viewing area is in front of the Macy’s facade in the New York backlot, right by Revenge of the Mummy. The annual passholder viewing area is in front of Mel’s Drive-In, right at the start of the parade. 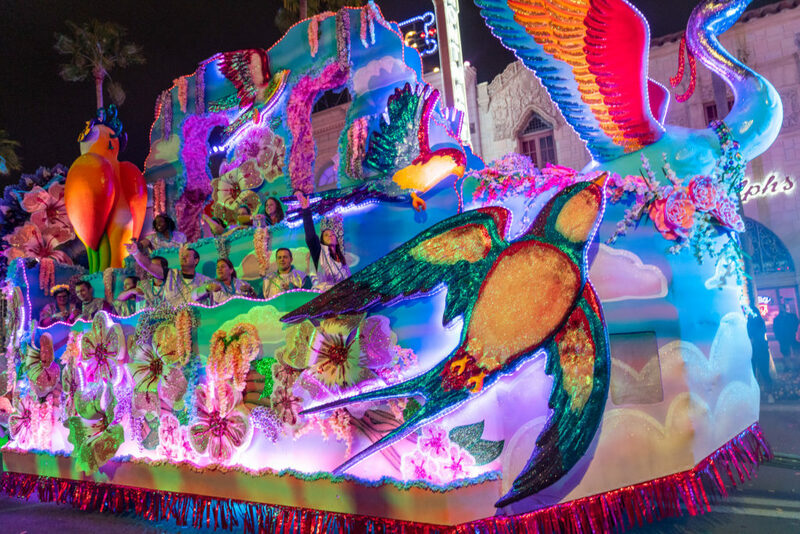 How do I sign up to ride a Mardi Gras parade float? Got all that? Good! You’re now free to sign up on Universal’s form, which you can find here. Want to know about about this experience? OI contributor Dani wrote a great blog post about it a few years ago. Once the parade starts going, it keeps going for the next 20 (or so) minutes – if you’re on the wrong side of the route, you won’t be able to cross it in order to leave Universal Studios Florida. Families (especially those with young children) should certainly make note of what time the parade starts that night and take pains to not get stuck in the park. The heart of Universal’s Mardi Gras is located, ironically enough, in New York. 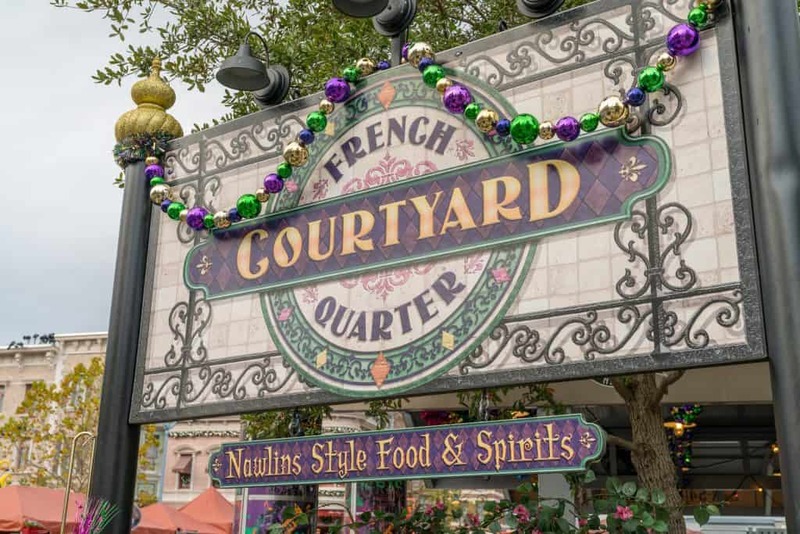 This section of Universal Studios Florida is where the French Quarter Courtyard can be found, which is home to “character” meet-‘n-greets (that is, some of the colorful dancers that are part of the parade) and authentic New Orleans music. Yes, that’s right – guests can groove to the soulful sounds of real, live bayou bands every night of the festivities. Since 2006, nearly two dozen musical groups have traveled straight from the Big Easy to Universal Orlando to perform blues, jazz, and zydeco music for party-goers, adding to the vibrancy of Universal’s Mardi Gras celebration. 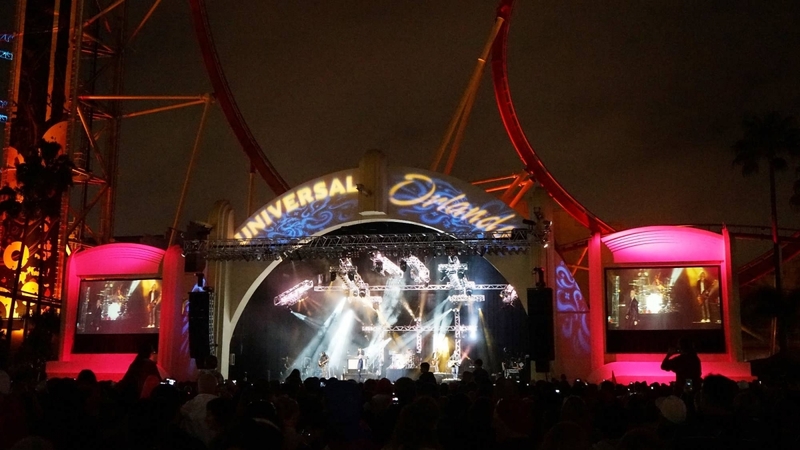 For 2019, Universal continues the tradition (which started back in ’17) of having these bands perform on the street throughout the area instead of having them be perched on a small nearby stage. 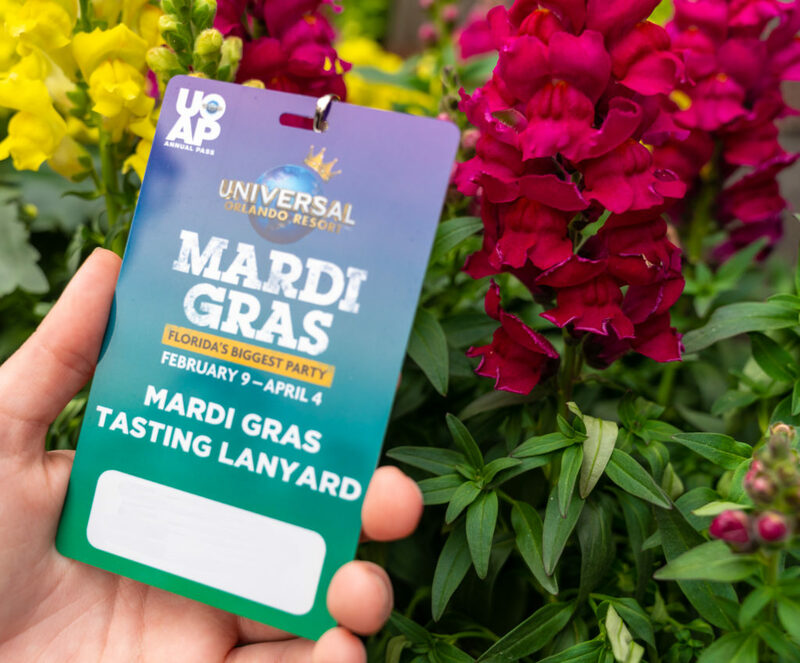 And in another wrinkle, Universal is also offering a new way to try out all these different samples: the Mardi Gras Tasting Lanyard, which we’ll need to cover in some depth first before getting on to the marvelous culinary lineup. 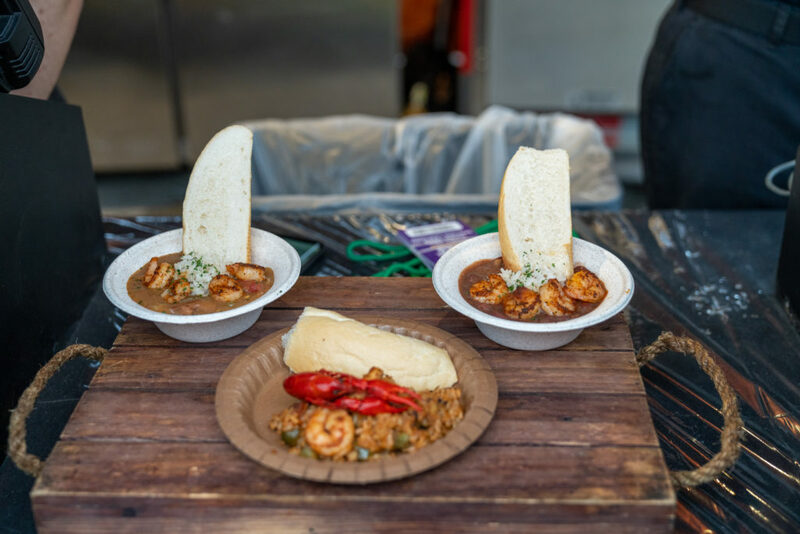 These dishes and drinks can be found in the French Quarter tent area, with a special icon located next to their names on the various menus. However, as something of a bonus, Universal will also allow you to use your Tasting Lanyards on a couple of normal snack items that can be found all throughout Universal Studios Florida, Islands of Adventure, and CityWalk during normal park hours: soft pretzels, regular popcorn, and bottles of water. Choose wisely! 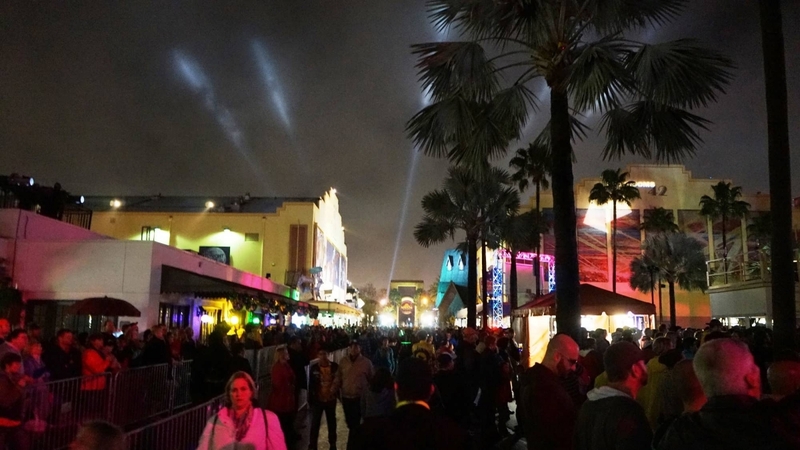 If you don’t use up all of your credits by the end of the day, worry not – they don’t expire, although, obviously, Mardi Gras comes to an end on April 4, and you would then be forced to use your lanyard only on the regular theme-park snacks. If, on the other hand, you do burn through your points and would like more tasting-size samples to munch on, you can reload your Tasting Lanyard at the same places you bought it in the first place: the French Quarter Courtyard, Universal Studios’s Classic Monsters Cafe, the Bone Chillin’ drink stand in front of the Cafe, and at the Reservation Cart, which is located at the entrance to the theme park. Pro tip: if you’re an annual passholder, be sure to use your pass for a discount off of your purchase at the food tents! 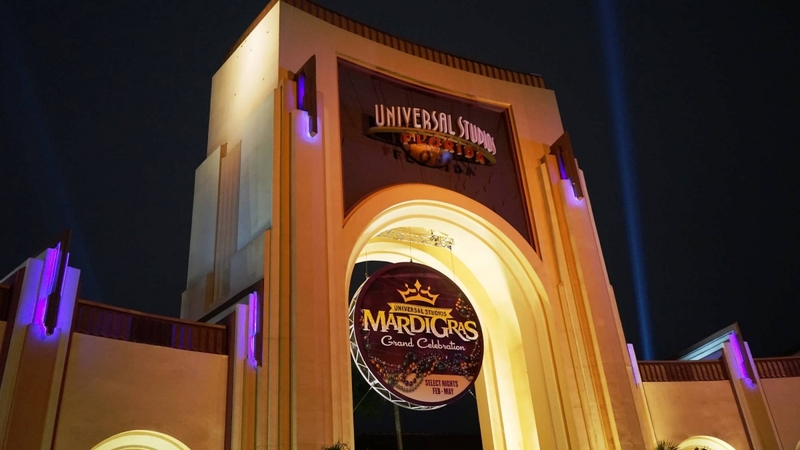 For the first time, Universal is putting a huge emphasis on beverages of all sorts – alcoholic, non-alcoholic, frozen – which is something of a growing trend for the company over the past few years; it started with Halloween Horror Nights in 2017, expanded to the Holidays celebration last year, and, now, has arrived at Mardi Gras for 2019. 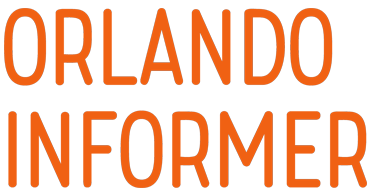 Before we break all of the sub-categories down, please be aware of one constant at every (alcoholic) drink location all throughout Universal Studios Florida: there is only one drink per person per ID. 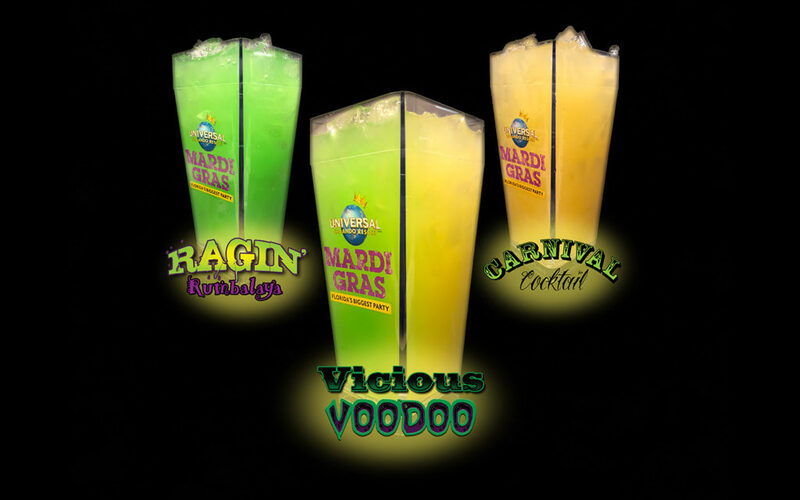 The iconic (and somewhat controversial) specialty cups from Halloween Horror Nights have invaded Mardi Gras, and they even brought their trifecta concept along – the two different specialty drinks can be combined together to create a third offering. Ragin’ Rumbalaya consists of Don Q coconut rum, melon liquor, blue Curacao, pineapple juice, and Sprite; the Carnival Cocktail, meanwhile, is a mix of Long Island iced tea, raspberry and blueberry vodka, lemonade, and Triple Sec. When you put them together, you magically have Vicious Voodoo. The cost for any one of these three beverages is $12.99 (which includes that now-legendary souvenir cup), with “souvenir refills” coming in at $8.99. All of these delectable drinks cost $11 and are available starting at 3:00 pm, when La Bamba opens up to Mardi Gras goers. Again harking back to Halloween Horror Nights, the new frozen drinks at Universal’s spring party are heavy on taste but light on booze (that is to say, they’re entirely nonalcoholic). These virgin slushies consist of Bayou Bog Water (which contains gummy worms and fish, blueberry boba beads, and a lemonade-and-ginger-ale mix) and the more straight-forward flavors of King Cake Slushie, Wild Berry, Green Coconut, Lemonade, and a mix of the last three items (they’re all stacked one atop the other). And here’s an important note to keep in mind regarding these frozen treats: while all of them cost $4.99 apiece, only the first two (Bayou Bog Water and King Cake) are eligible for the Tasting Lanyard, most likely due to the fact that they’re the only ones sold in the French Quarter Courtyard’s food and beverage tents (the other four can be found only at three drink stands spread around the area – near the Music Plaza stage, across from Race through New York Starring Jimmy Fallon, and by Cafe La Bamba). The price for these wines depends on the type: $8.50 for white and $10.50 for red. Last but not least, partygoers can find beer spread out all throughout the French Quarter Courtyard. The price for draft beer also comes in a couple different varieties: a nine-ounce sample size costs $4.99 (and is eligible for the Tasting Lanyard), while a normal 20-ounce pour is $9.99 in a regular cup and $12.79 in a souvenir mug (with refills priced at $9.99, as well). If you haven’t used Universal’s (relatively) new Mobile Order before, Mardi Gras’s a great time to do it! 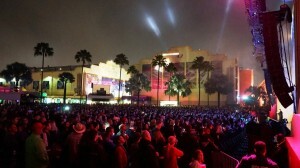 In yet another new move, Universal has put several of its more popular food and drink options (plus a couple that can’t be found anywhere else during the annual event) on its mobile app – just make your selections, pay, and then pick up your order at the specially-marked area that’s been roped off near the Universal Music Plaza. There’s just one important caveat to keep in mind here: Mobile Express Pick-up is only good on concert nights, from 3:00 to 7:00 pm. Just in case Mardi Gras was starting to look like Halloween Horror Nights a little too much, there’s also a fair bit that’s being imported from Universal’s Holidays celebration for this year, as well – and nowhere is this clearer than in all of the (again) brand-new premium add-on experiences that are being tacked on to the event’s run. When one adds in the meet-‘n-greet element (Mardi Gras performers during the boil and various Universal characters at the parade viewing area) in addition to all of the food and drinks, the Bayou Boil is, hands down, a great value – and, in our opinion, a must-do experience. It is nothing short of a great enhancement to the overall Mardi Gras vibe. 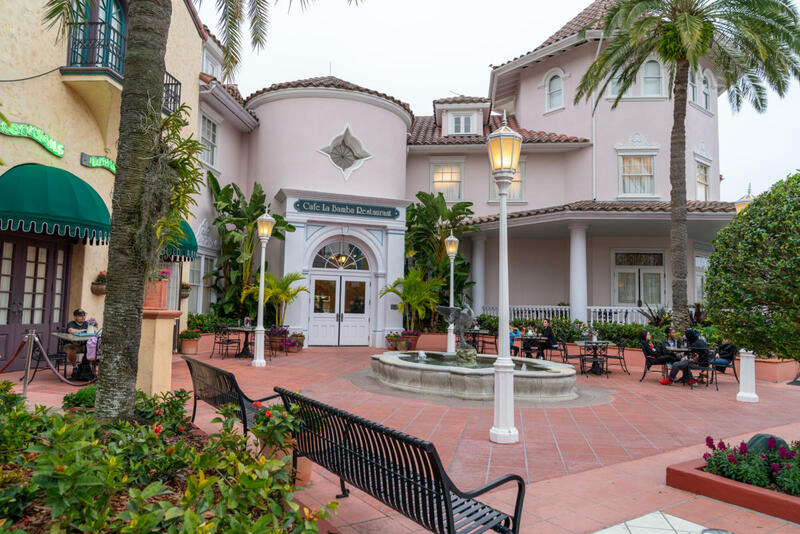 And one final thing: even though there are multiple slots per evening, seating is still limited, which makes reservations highly recommended – just call 407-224-FOOD. 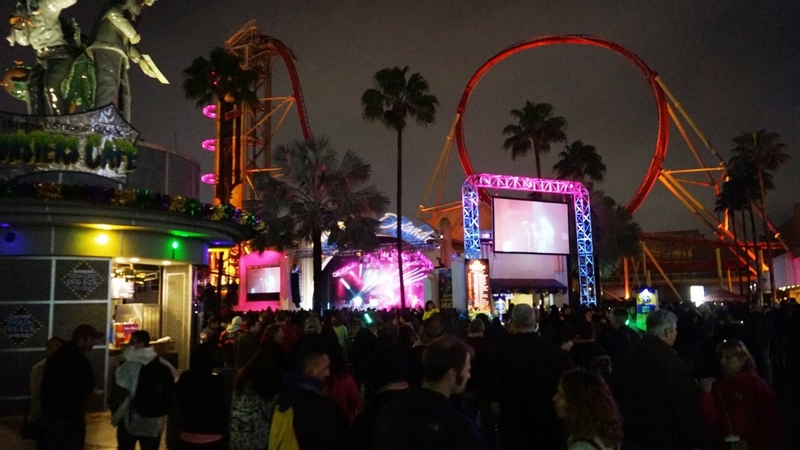 This long-named add-on gives guests an exclusive viewing area for both of Universal Studios Florida’s nightly spectacles during this time of year: the Mardi Gras parade and Universal Orlando’s Cinematic Celebration nighttime show. For the former, participants will lounge in the Pantages Theater Courtyard and sip on non-alcoholic beverages; for the latter, they’ll recline on blankets in the nighttime spectacular’s VIP area (located in Central Park) and munch on specialty desserts, sparkling wine and cider, and soft drinks. 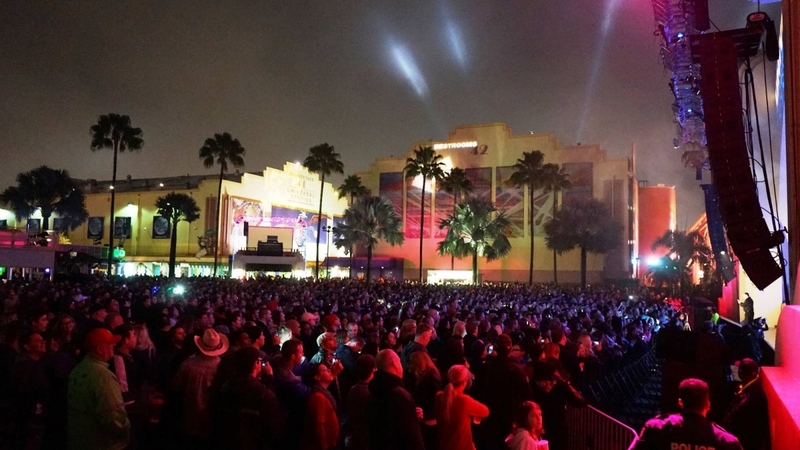 What – you still have questions about Universal Studios Florida’s Mardi Gras bash? No problem – we’ve got the answers for you. Is Mardi Gras at Universal Studios Florida appropriate for young kids? The French Quarter Courtyard, the pre-party, and the parade are well done and totally kid-friendly. We definitely recommend bringing along everyone in the family! Many Mardi Gras “characters” walk the streets near Universal Music Plaza and the French Quarter Courtyard, handing out beads and posing for photos. Mixed with the New Orleans party music filling the air, it’s a very festive atmosphere. 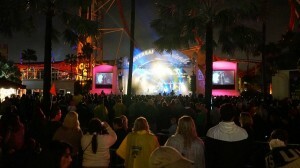 The part of Mardi Gras that may not be quite so family-friendly is the free concert on select nights after the parade. Universal is able to get some pretty big names to play, and since the concert is free to anyone who has admission to the park, they can get packed – and we mean packed. 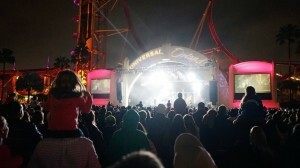 We wouldn’t recommend bringing the kids around the Universal Music Plaza anytime towards the end of the night, unless you happen to be going when a decidedly unpopular or older band is playing. Luckily, it’s very easy to enjoy Mardi Gras’s family-friendly party atmosphere and parade while steering clear of the Music Plaza. In fact, Universal has set up a special parade viewing area just for kids called Little Jester’s – it’s located to the former Terminator 2 3D, and it opens an hour before the parade starts. And, surely by design, Universal has put this special viewing area right next to the park exit, so you can easily leave with your kids once the parade passes. 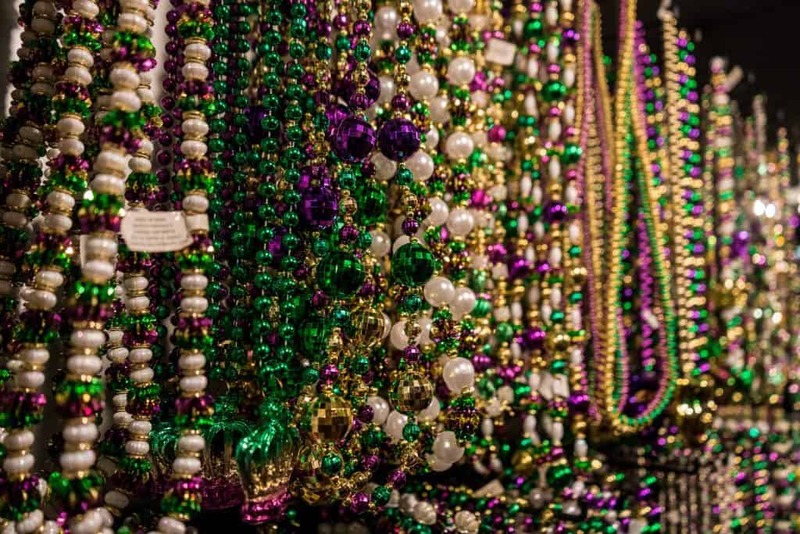 Beads are the central icon of Mardi Gras, and don’t you worry – you’ll be able to collect them ’til your little heart’s content. And, even better, the vast majority of these quintessential items are absolutely free to you. How do you collect beads? There are two central ways: by watching the parade (a number of employees and guests line the floats and fling the coveted items ’til their arms are sore and about to fall off) and by meeting-and-greeting with the Mardi Gras “characters” that line the streets by the Music Plaza and French Quarter Courtyard (though sometimes they’ll make you earn your beads, such as by dancing with them). And in case the standard-issue beads just aren’t to your liking, Universal also sells specialty ones (for $3.99) at the main Universal Studios Florida gift shop and at two merchandise stands: one across from Race through New York Starring Jimmy Fallon and the other across from Fast & Furious: Supercharged. What about Universal’s Superstar Parade? 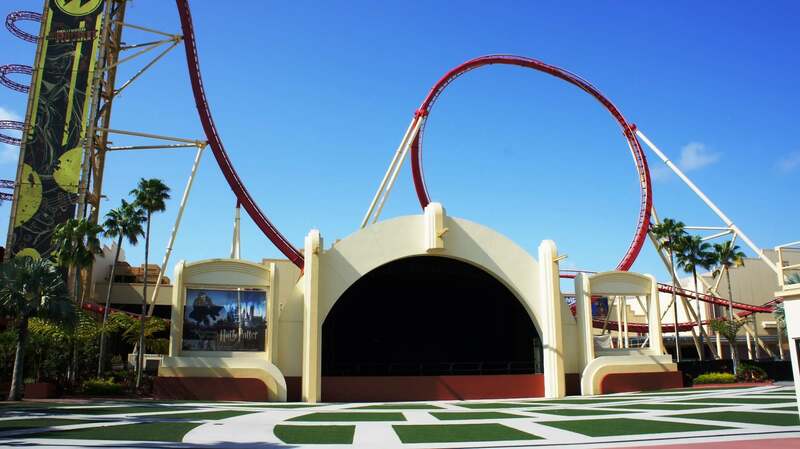 Are there any benefits for annual passholders? For the 2018 event, annual passholders were eligible for a special viewing area in front of Mel’s Diner; in addition, Premier and Preferred passholders could each get a 10% discount between 4:00 pm and 6:00 pm at the French Quarter’s food tents. Even better, for one day only – on Saturday, February 3, the very first day of the festivities – all passholders received an hour of early entry to the French Quarter, starting at 3:00 pm. 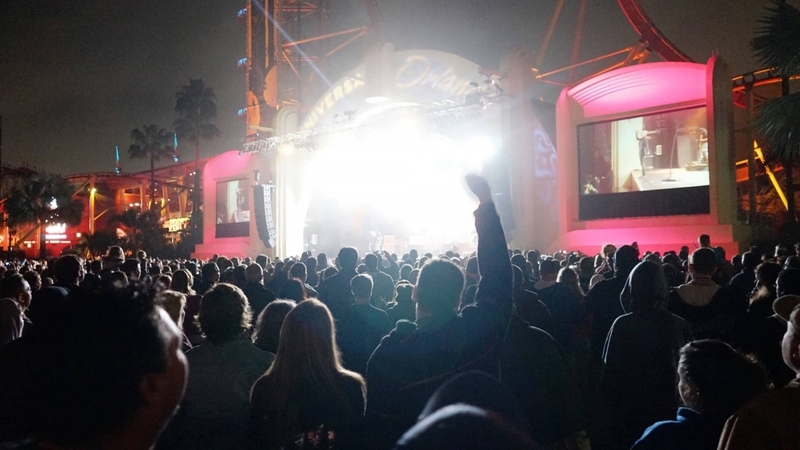 Finally, it should be noted that Seasonal Passholders aren’t eligible to attend Mardi Gras concerts, as all of them fall under blackout dates. Below are our various photo galleries from Unviersal’s Mardi Gras 2019. We have an entire community of Universal fans discussing the event right now! When you’re done here, join us for vacation planning and more in our Facebook community.